This is the real "On The Street"
As many have discovered, it is very easy to maintain One-Point and good will towards men in the peace and serenity of the dojo, a ki class, a convent, a meditation garden. 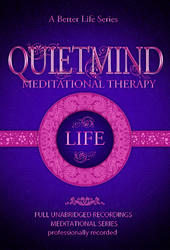 But most of us must return to the real world, perhaps by way of heavy traffic — a daunting challenge to the relaxed life. In the Washington, D.C. area alone there are over 900 cars per square mile and their drivers, with their own perceptions, attitudes, traditions, misconceptions, inexperience, and possibly alcohol or drugs — a volatile mix. In this area alone, more than 16,000 motorists a year are charged with driving under the influence of alcohol or drugs; in 1994 these factors led to over 6,600 crashes and 130 fatalities. Nationwide, more than 110 people are killed, and 5,700 injured on the roads every day. Teens comprise only 7 percent of drivers, but cause 28 percent of highway injuries, nine times the rate of older drivers. Forty percent of teenage deaths occur on the highways. During the Viet Nam war, death rates for young men actually dropped as young men were removed from American roads to the relative safety of guns and grenades. Some attribute our collective madness on the highway to our identification with our cars. The protective anonymity of tons of steel and tinted windows tempt us to behave in ways that we never would otherwise. "I AM my expensive and prestigious luxury car— and you want me to move over to let you pass?" According to AAA, 85 to 95 percent of crashes are caused by driver error, from honest mistakes, not by hostile people looking for a wrangle. Nevertheless, those who assume hostile intent and retaliate end up in a back-and-forth dance that can end in disaster. While many of us study martial arts for safety "on the street," we seem oblivious to danger "on the road." Better to wear a seat belt, drive kindly and sensibly, and practice inner calm. In most of the Aikido world contests and tournaments, based on fighting and defeating an opponent, are forbidden.- This does not mean that there is no competition, for what is in Aikido is humans and most humans are endlessly competitive. Forbid competition and the competitive mind will simply come up with more subtle ways of competing. 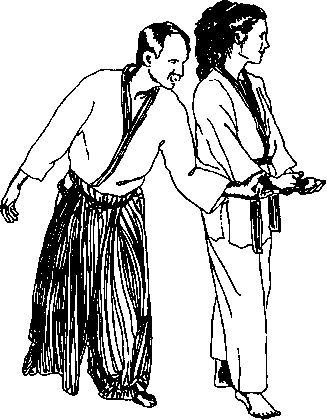 Competition can help to build skill, but Aikido techniques are based on the theory of non-dissension. Failure to grasp the theory means failure to master the techniques. Tohei urges those who want competition to compete — with themselves. A person who likes contests and matches should try having one with himself. For instance, a quick-tempered man might say, "Today I'm not going to get angry once " If he manages to hold his temper all day, he wins; if he does not, he loses. If we make progress without causing anyone else trouble and without bearing ill will against anyone, we will get to the point where we are always winning. That is real victory. If we fail to win over ourselves, even though we win over others, we are doing nothing but satisfying our own conceit and vanity. There is hardly a better arena for such an internal contest than on the road Use rush-hour traffic to practice blending, flowing, extension of good will, and ma-ai ("correct distance") in the car just as in other physical vehicles. Practice not reacting, not wasting energy ascribing ultenor motives to the speeder who zooms up from behind flashing his lights and honking for you to get out of the way. If a boulder or a lion or a sword were hurtling towards you would you waste time feeling huffy? — or just get out of the way? Notice your shoulders Are they up around your ears? Drop them Breathe. Instead of being angry because someone cut in, can you be pleased that you blended well, successfully avoiding injury, higher insurance costs, and legal entanglements for both of you? Must you always speed up to pass? Notice that you can also fall back. Blend. Must you be angry? Your anger will not make a bit of difference to an oblivious offender, but it will affect you. Can you take someone who is stuck in traffic, trying to make a left turn, under your protection? If not, why not? Recall incidents in traffic and your reaction to them Uke test. Observe how old some of these memories are. Observe the time factor involved in your reactions. What is the actual elapsed time that defines traffic as "moving well" versus actual elapsed time that causes impatience, rage, and fury9 How much of this time and how much of your reaction depends on the space of time you chose to allow for travel? If you are a physically small human disturbed by bullying tactics or lack of consideration by others, observe your own behavior when in a large powerful vehicle and faced with pedestrians. If you are a physically large human, walk across a large busy intersection, and observe how it feels to be a pedestrian walking in company with 3,000-pound bodies that assume greater size, strength, and speed give them the right of way. Observe others who play these roles and notice that behavior is not a function of vehicle design but of the driving spirit. Dedicate yellow lights to drivers attempting to turn left rather than speeding up and zooming through yourself. Signal all turns and lane changes, planning ahead rather than cutting in or out, or braking at the last minute. Assume confusion or insanity rather than malice. Although increasingly rare in practice, not one of these is anything other than standard motor vehicle law or good sense, whether operating a vehicle of steel and plastic or one of flesh and bone. The emotional hook of perceived hostile intent is often worse than the action itself. I once lost all patience with a driver who was weaving unsteadily down the road. My perception changed radically when the driver made a clumsy left-hand turn from the middle lane — into the hospital emergency room.